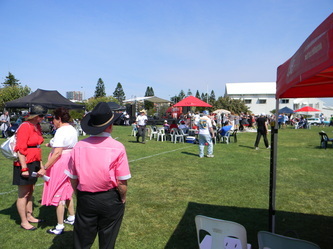 Another great day for Broke Fair, a little cool in the shade, warm in the sun, very little wind and no rain. 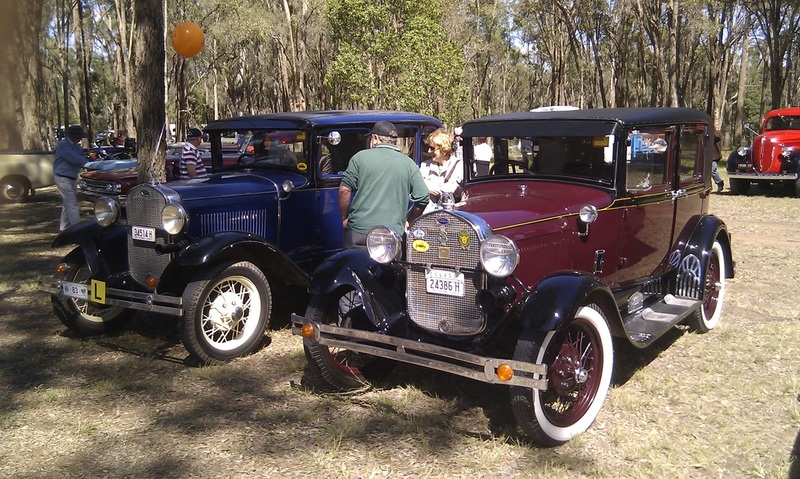 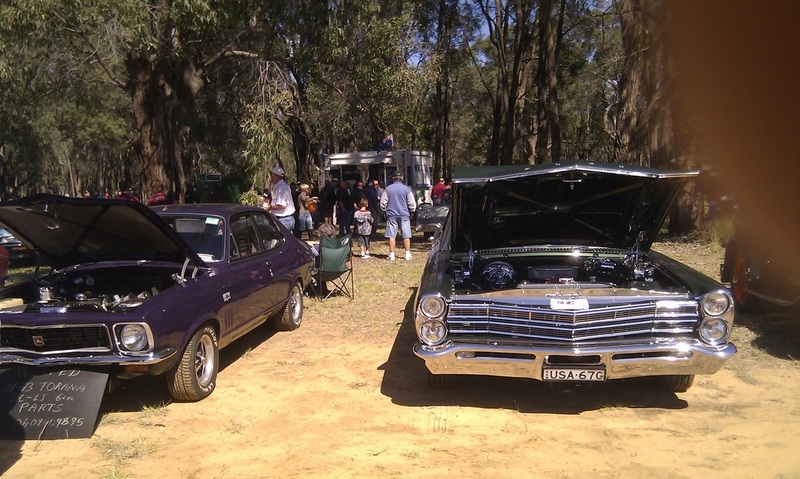 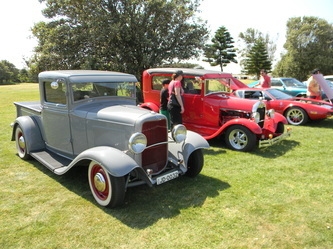 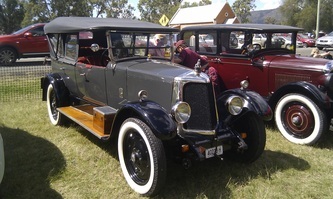 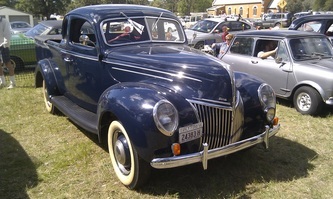 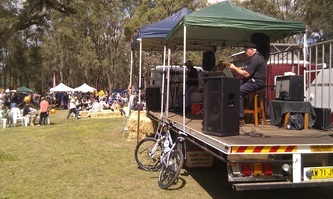 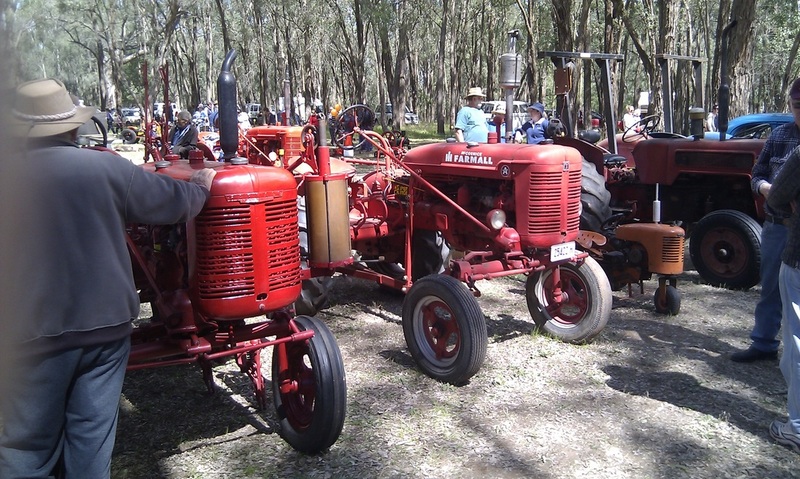 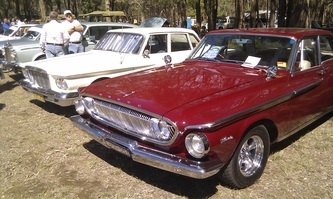 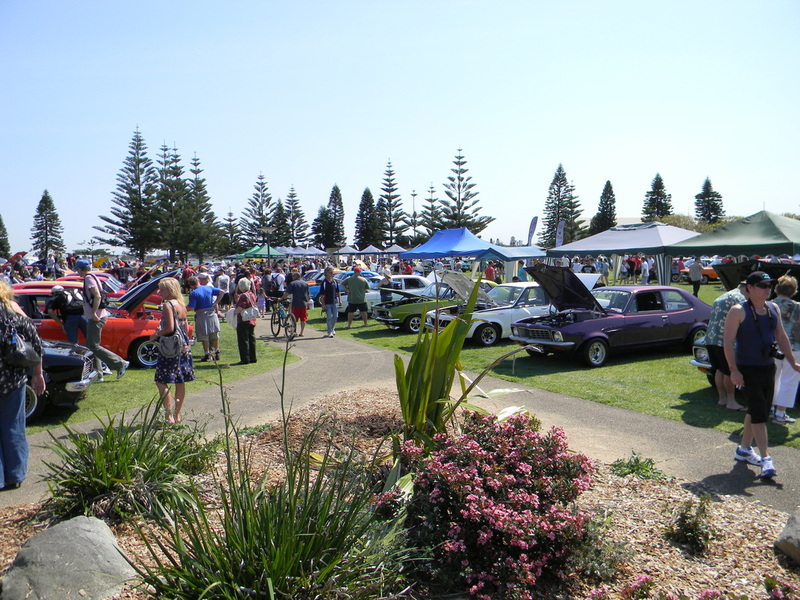 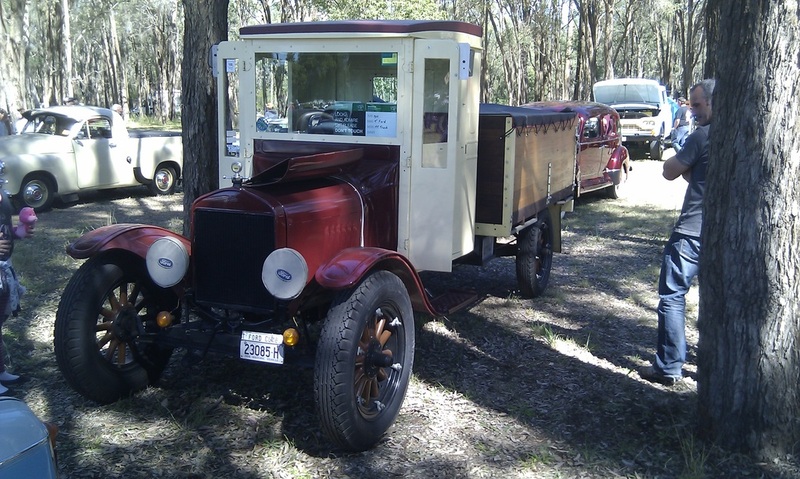 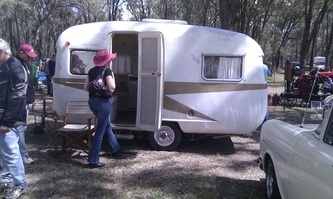 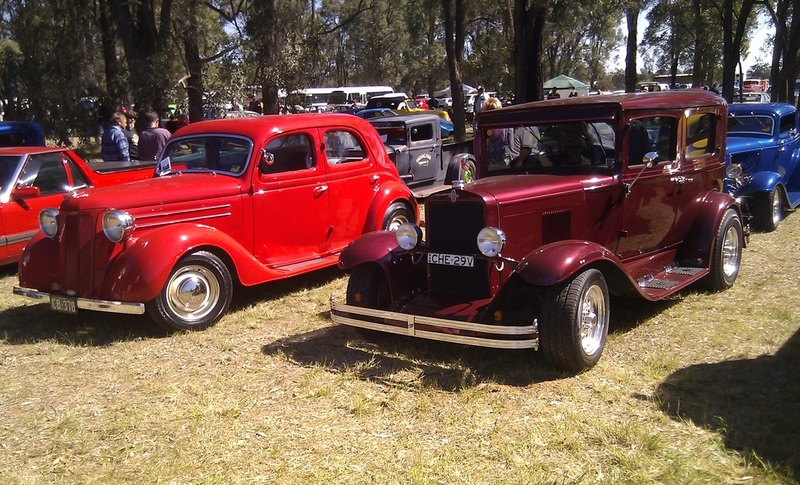 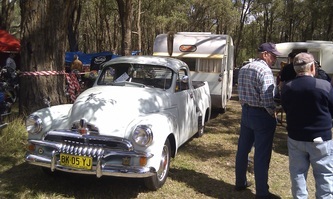 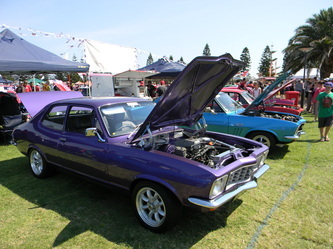 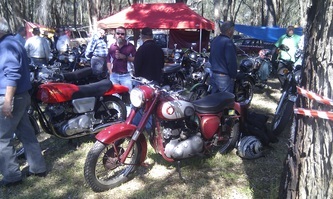 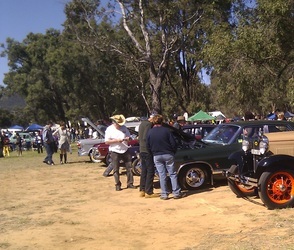 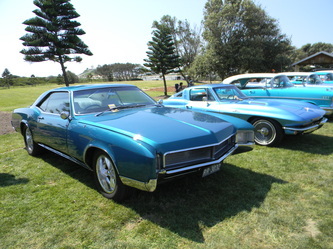 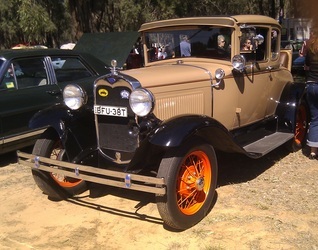 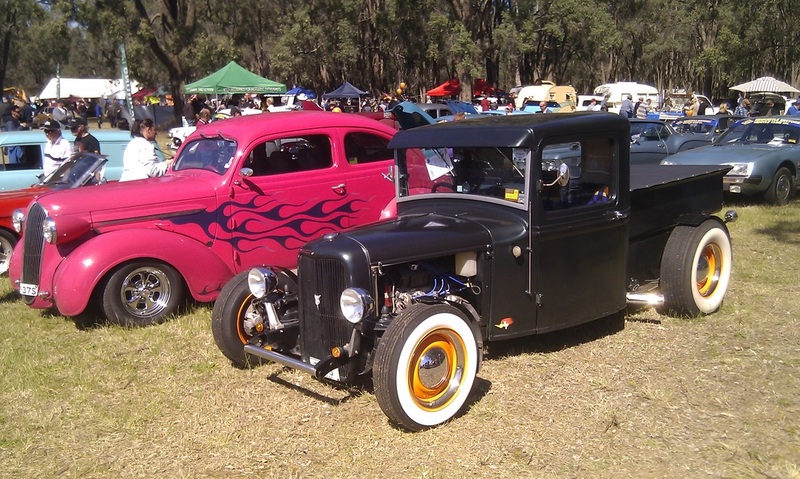 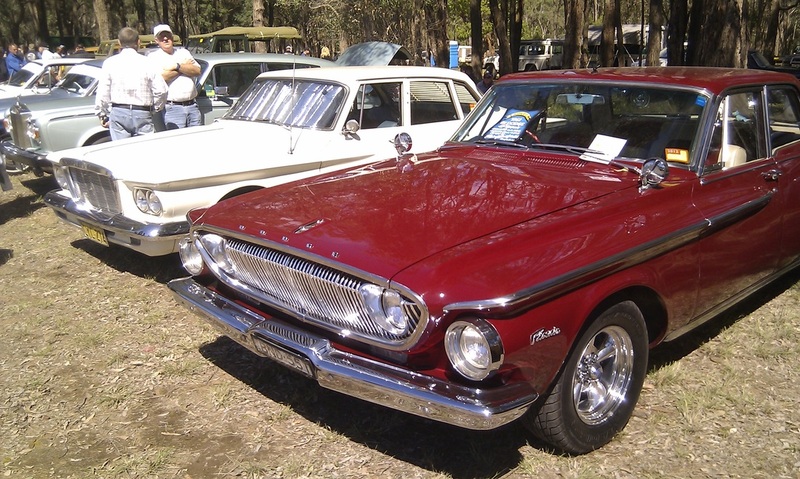 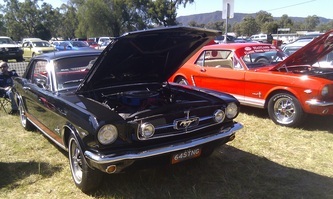 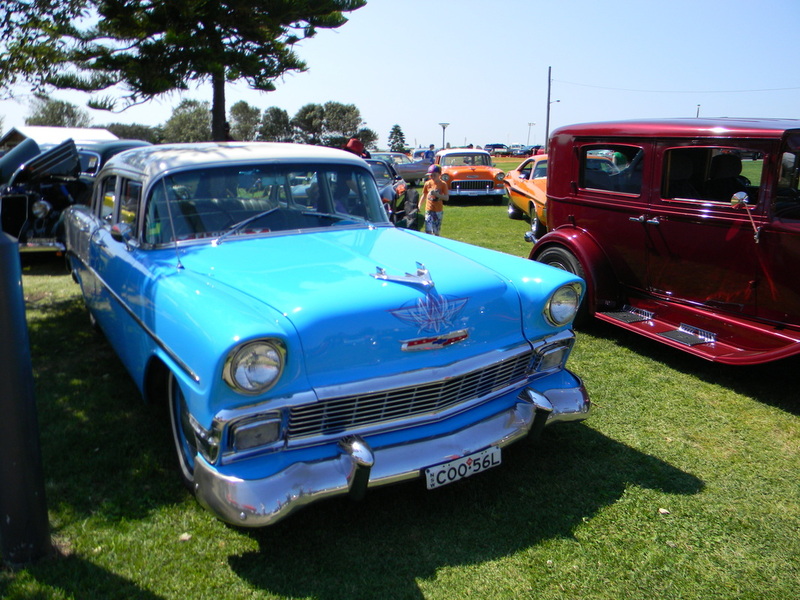 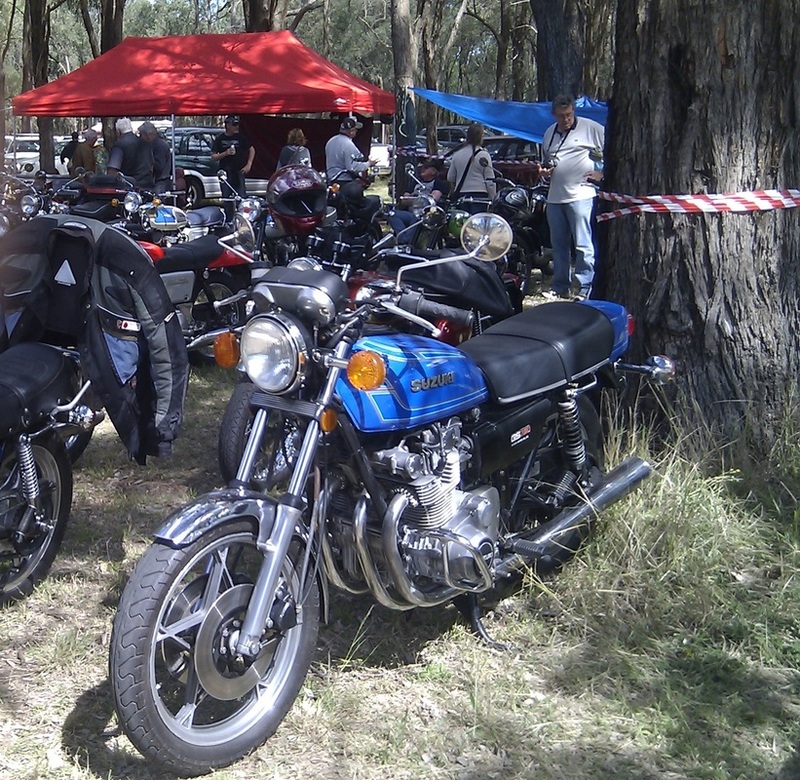 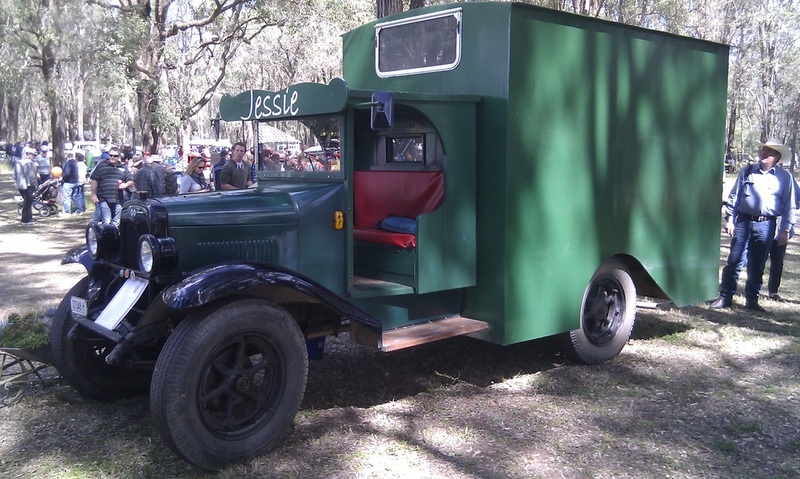 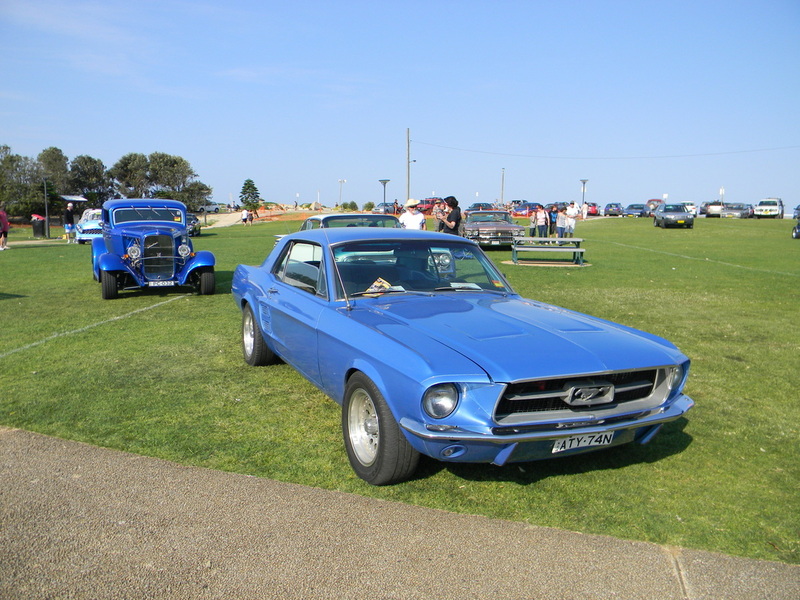 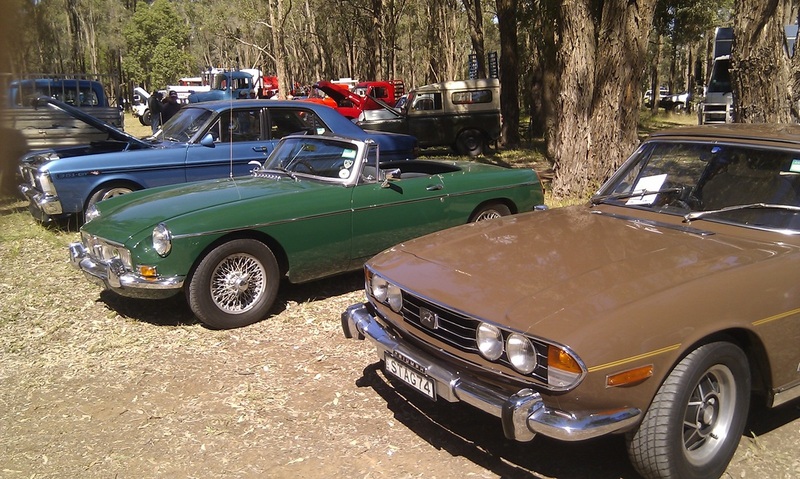 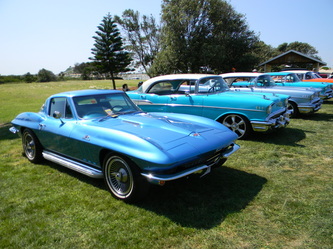 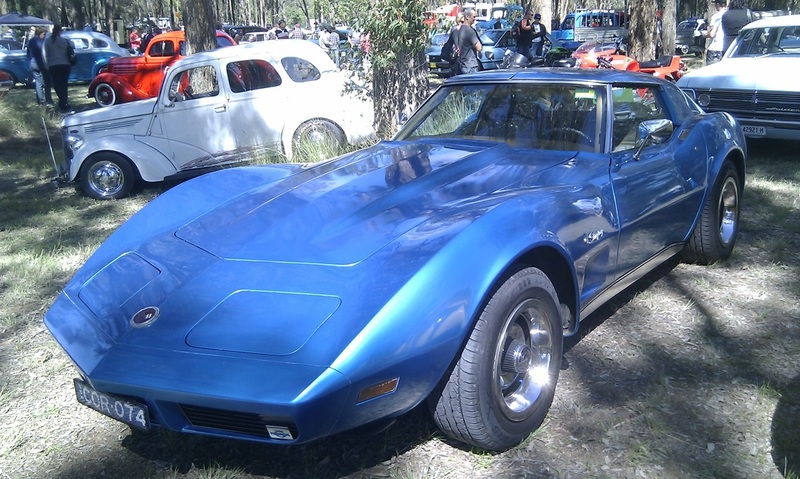 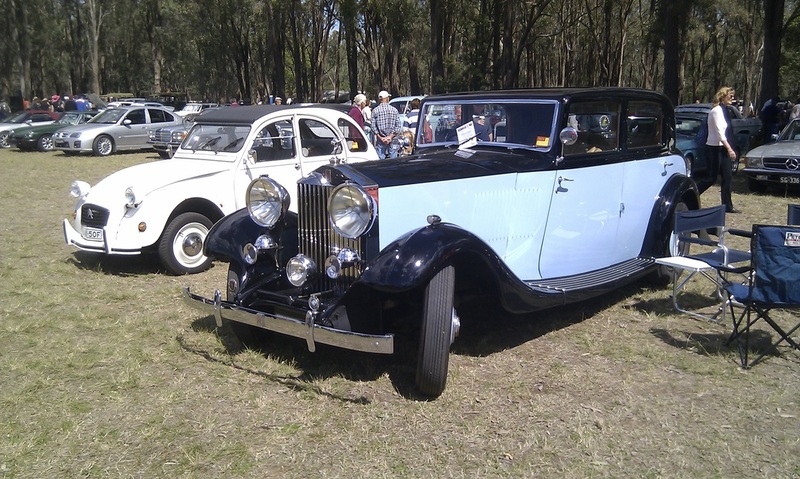 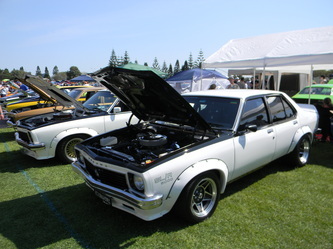 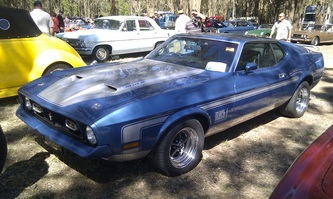 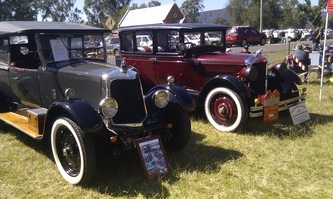 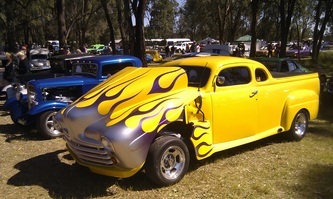 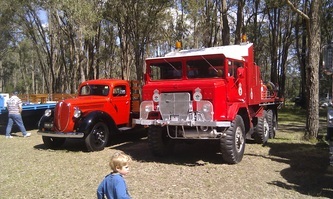 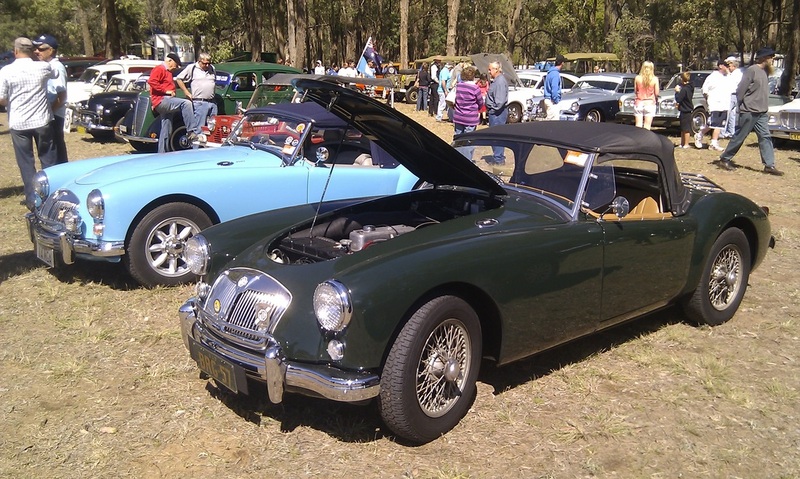 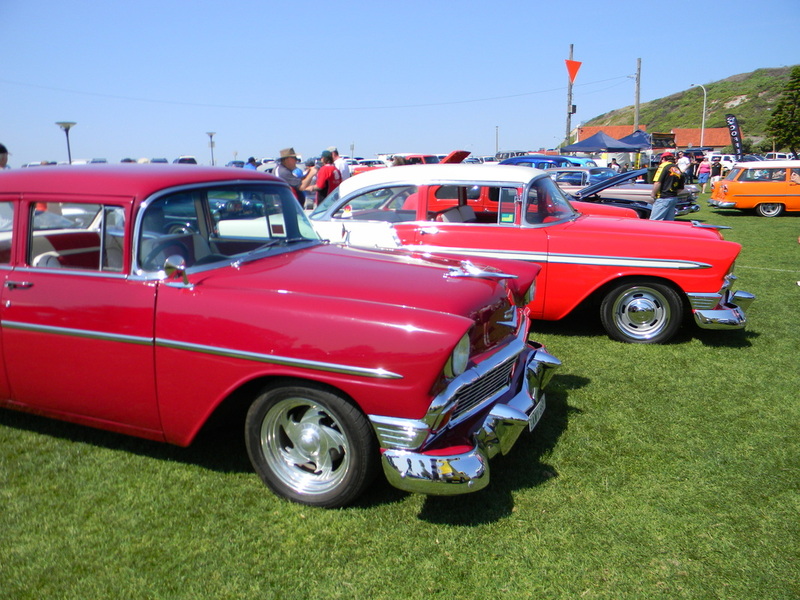 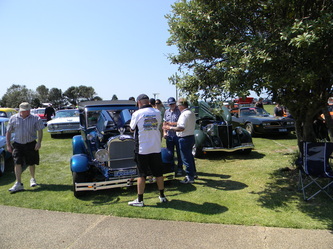 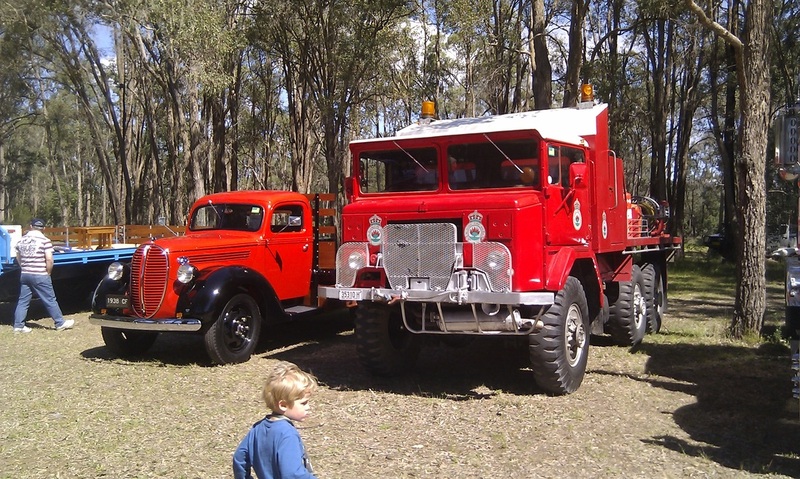 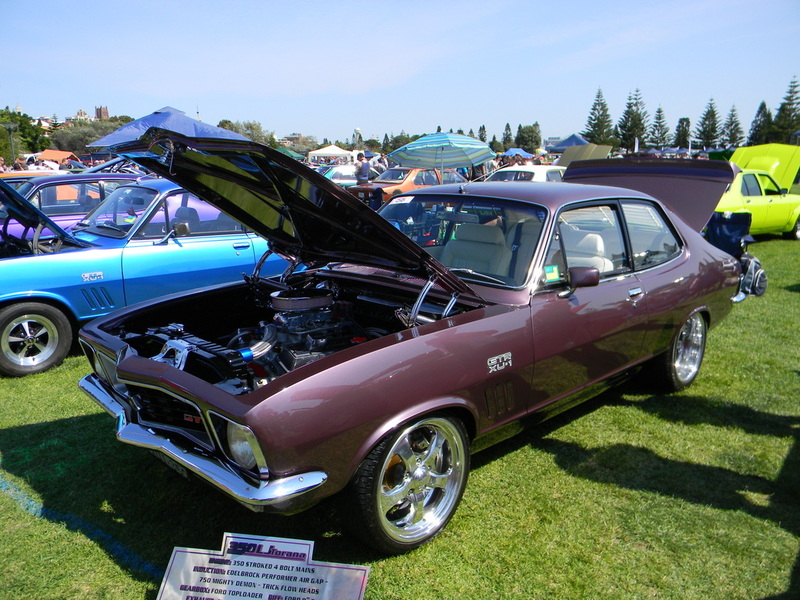 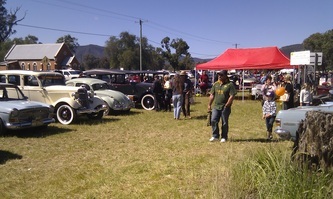 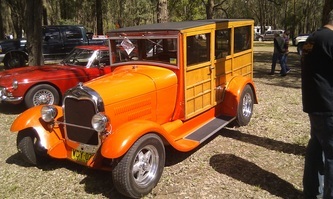 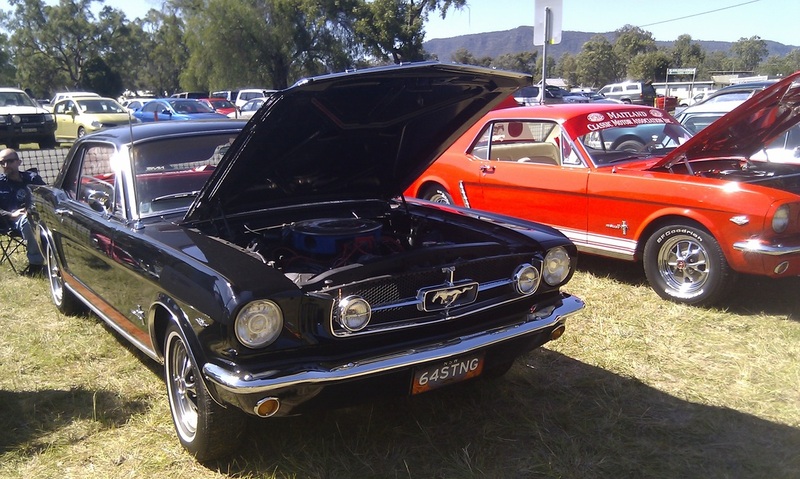 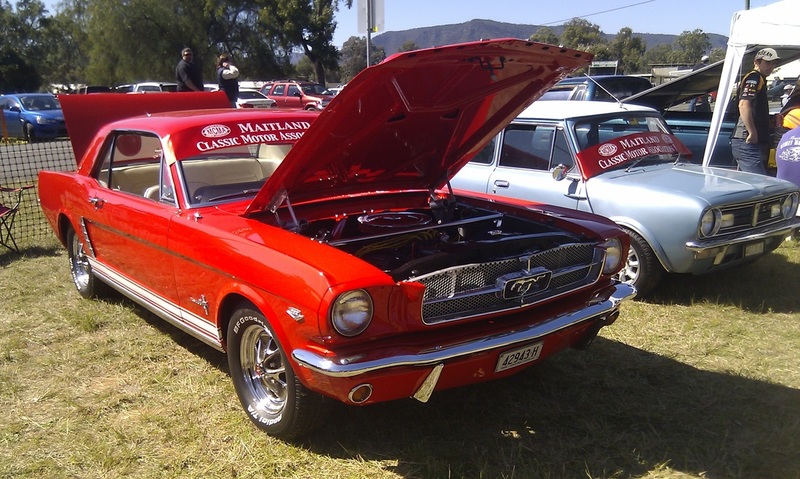 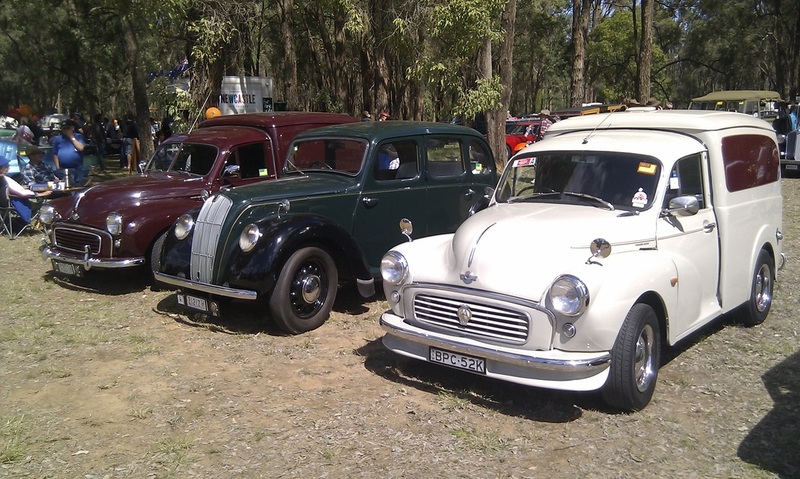 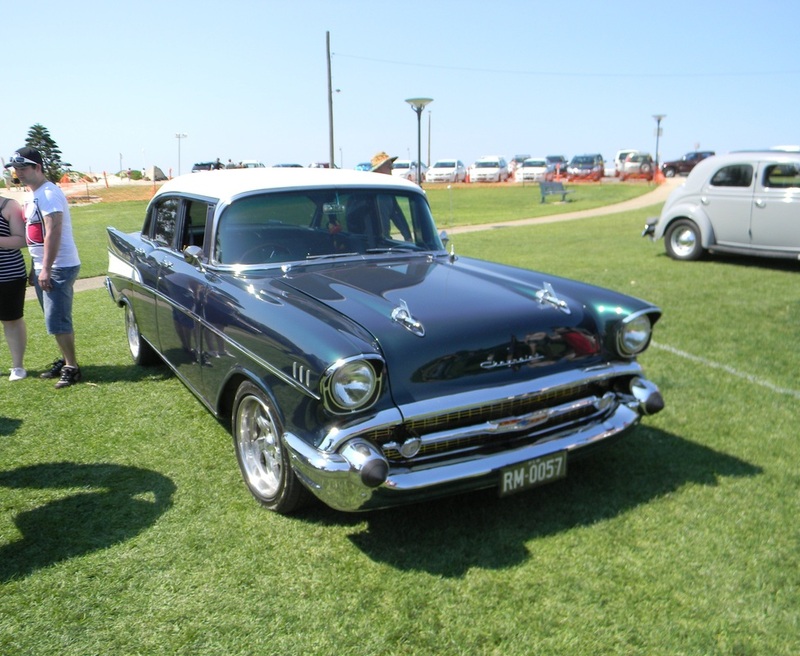 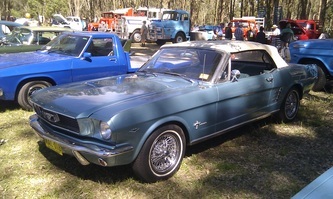 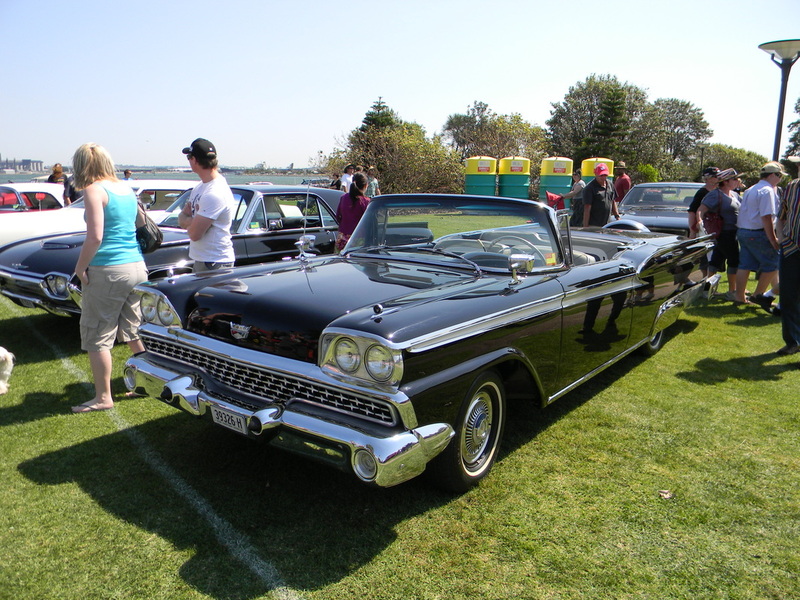 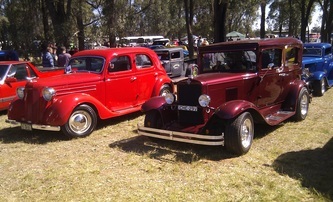 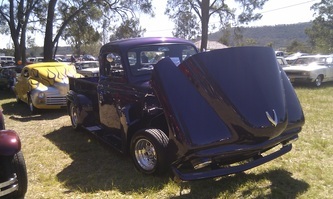 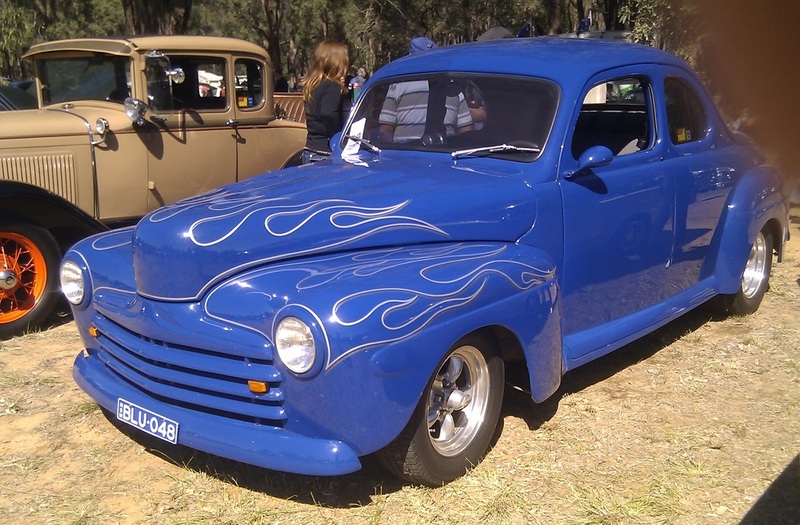 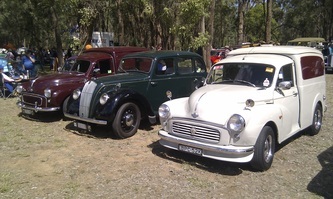 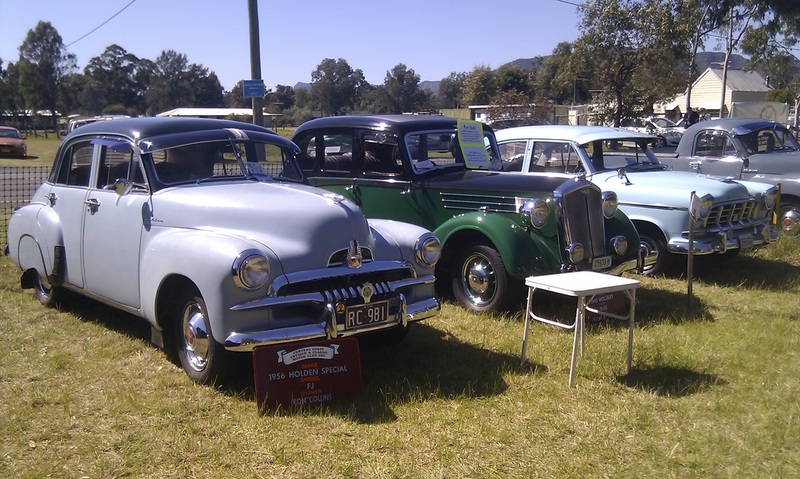 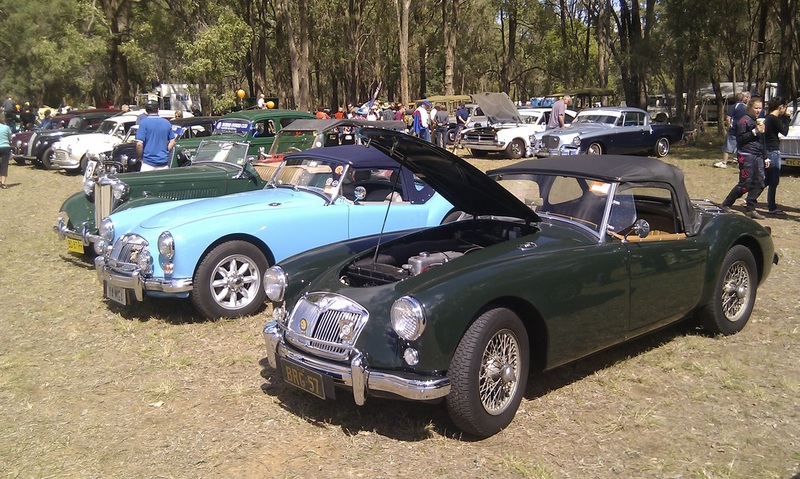 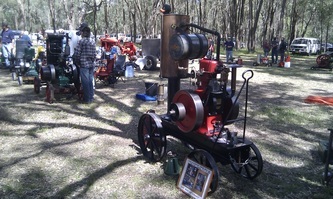 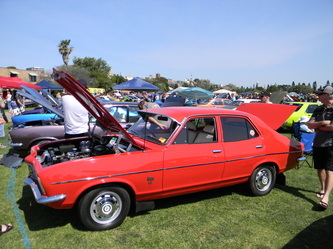 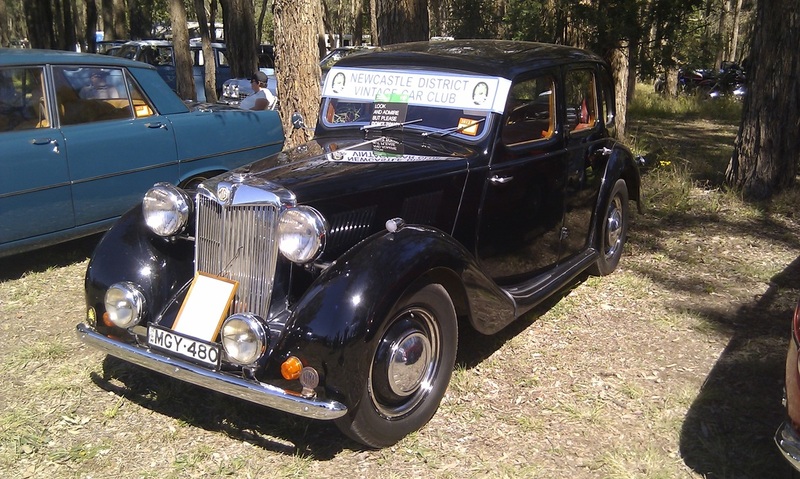 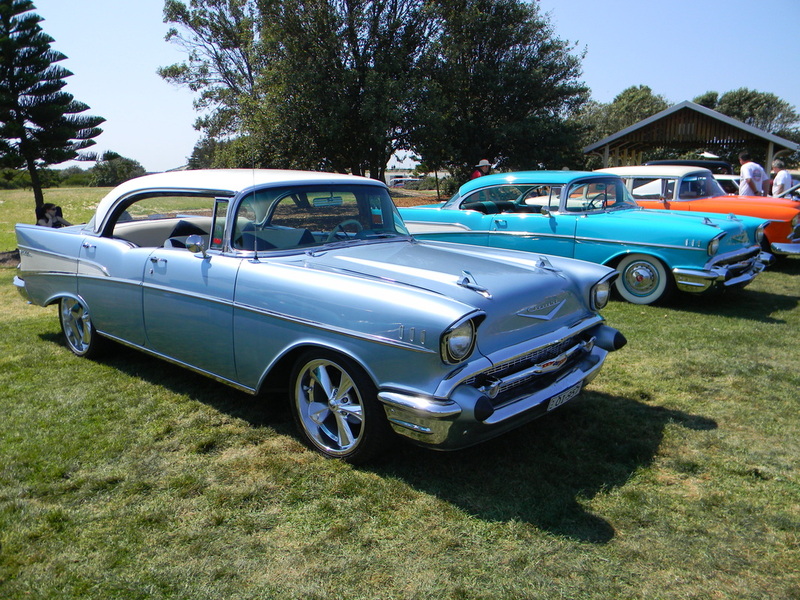 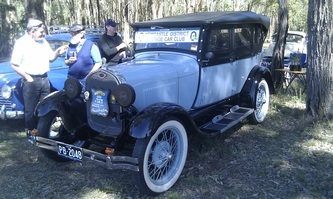 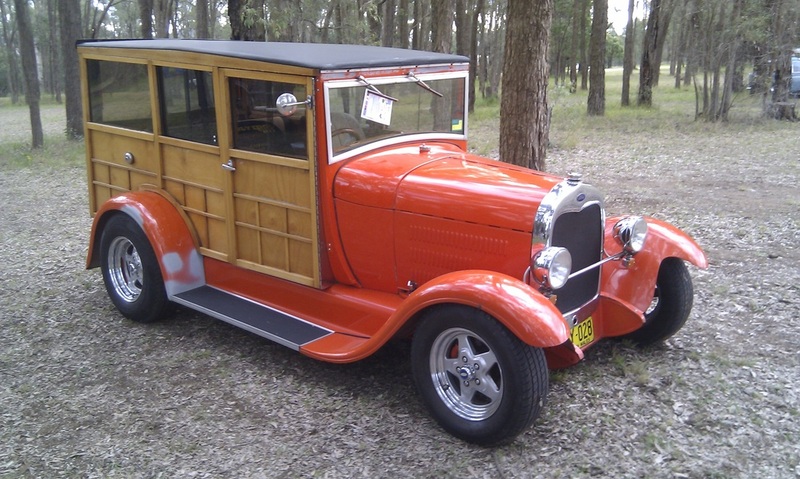 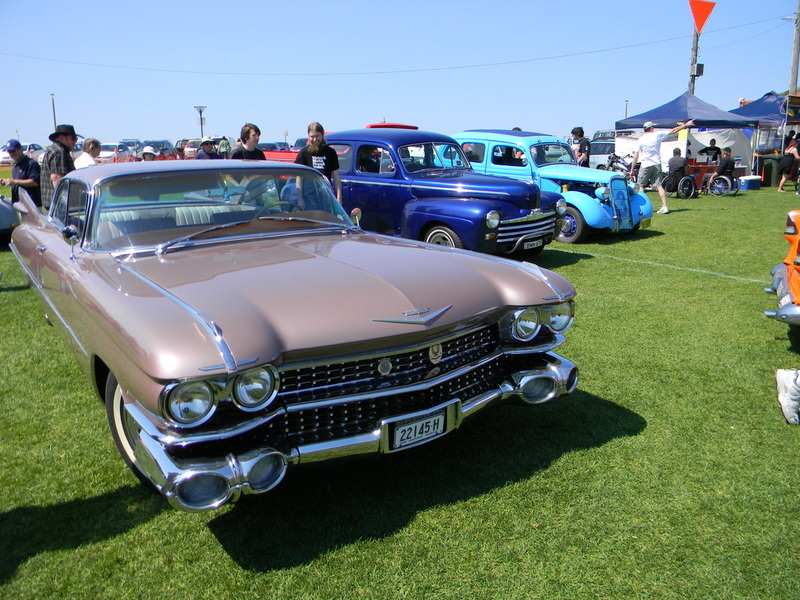 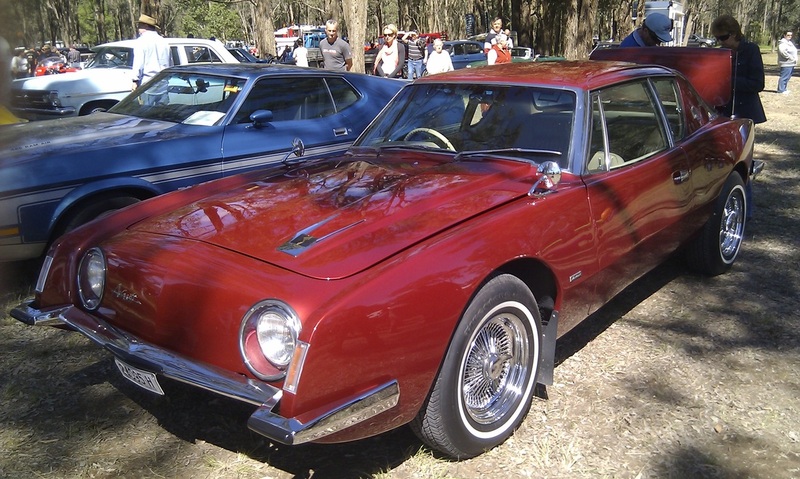 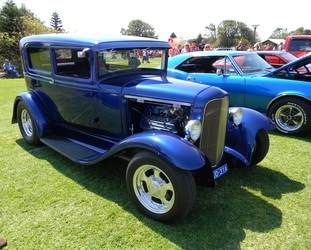 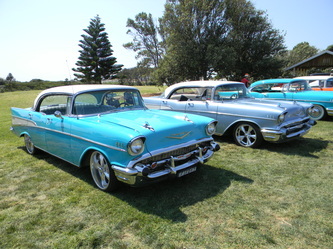 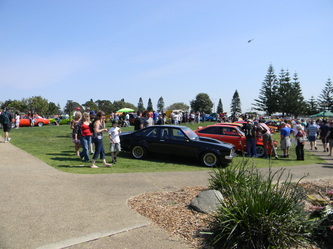 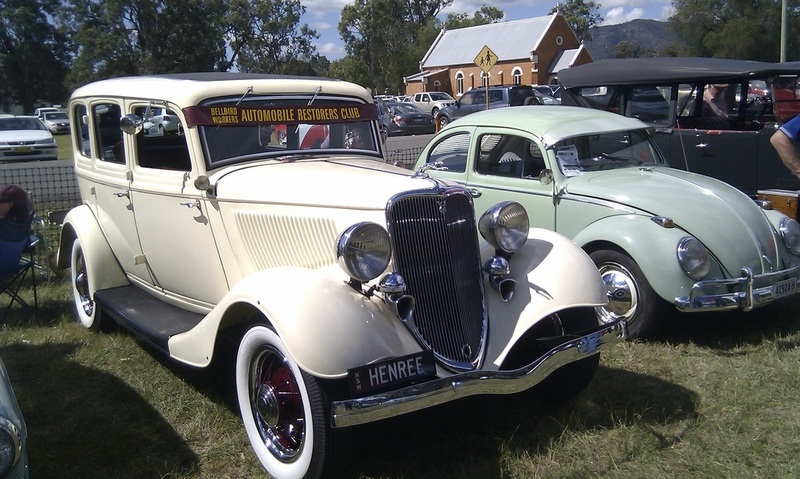 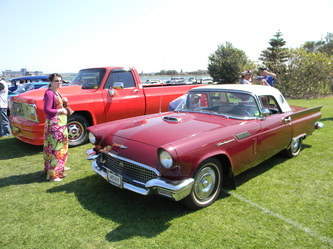 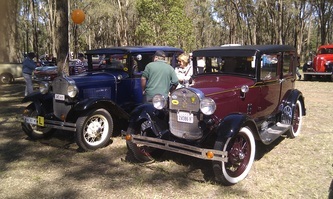 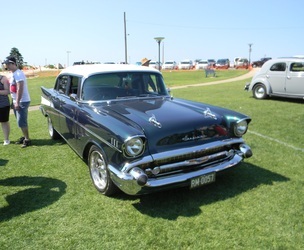 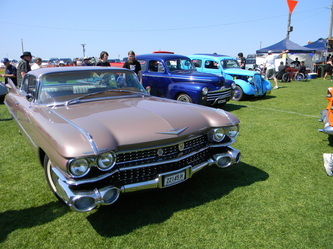 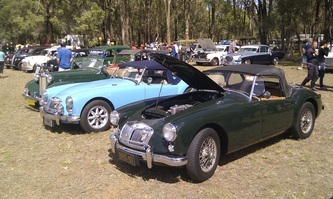 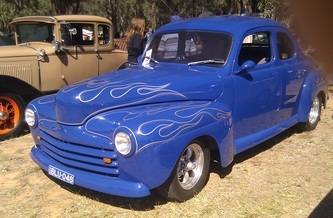 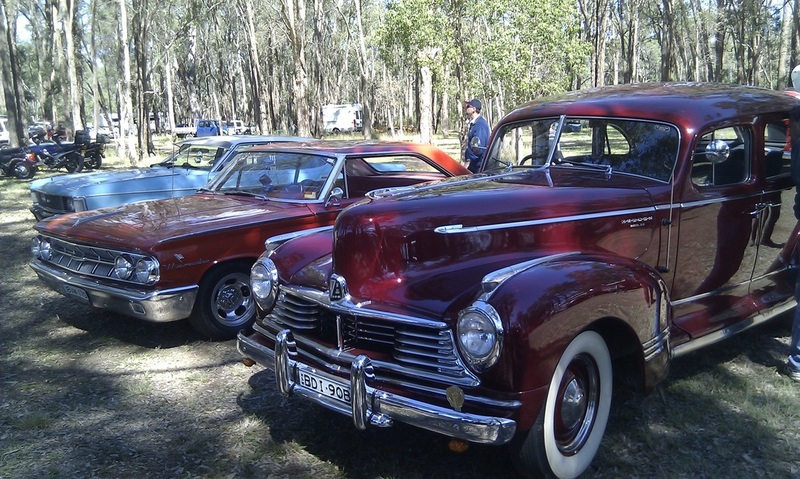 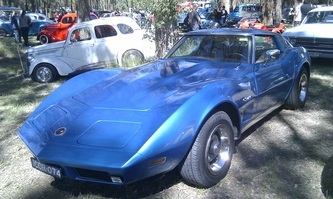 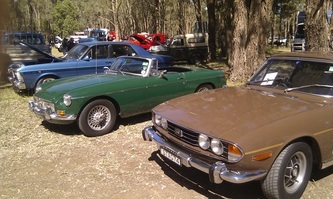 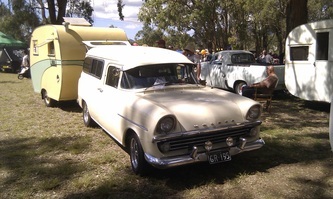 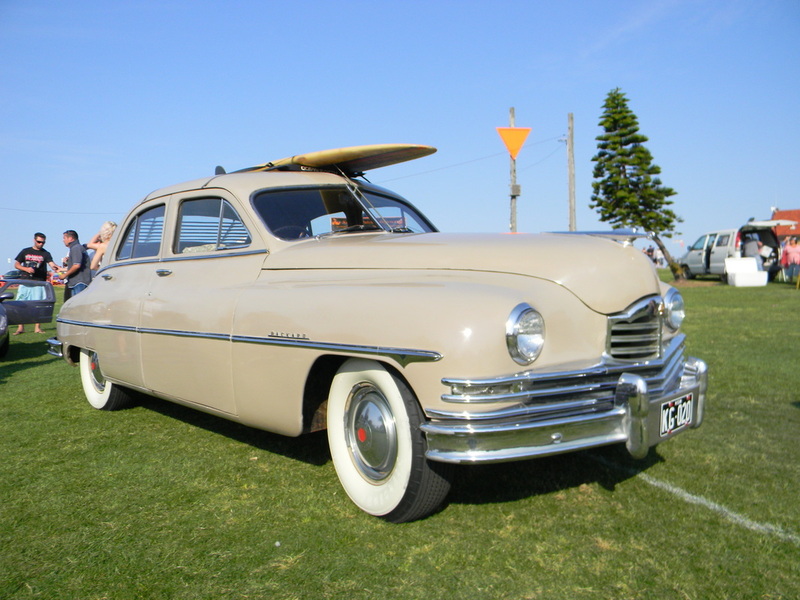 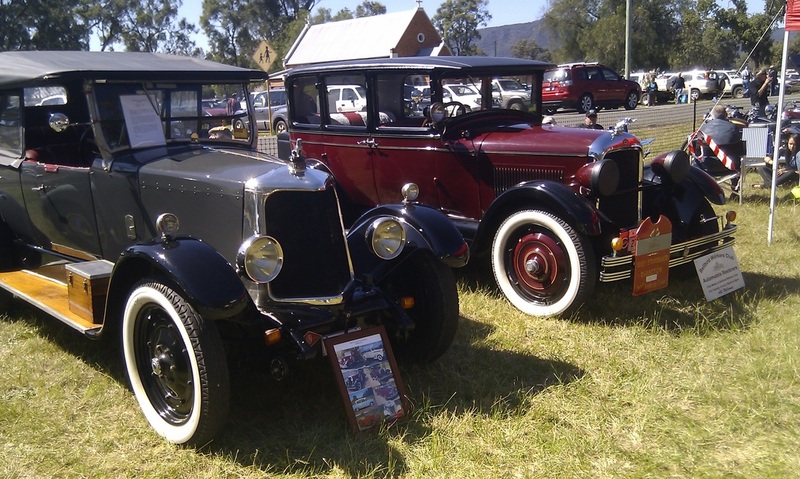 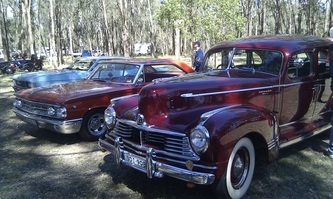 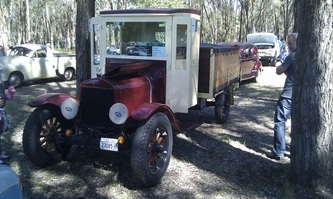 There were heaps of cars and bikes to view along with tractors, steam engines, great stalls and good food. It is always a pleasure to come to this event with 6 of our club's rods on show and those who attended had a great day. 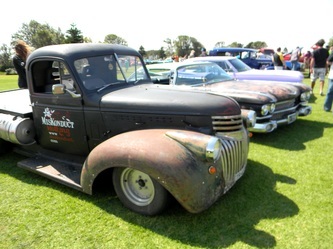 A fine Fathers Day morning saw over 500 cars turn up for another very successful Rat Rod Day. 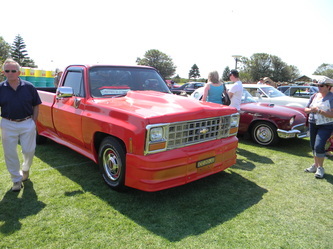 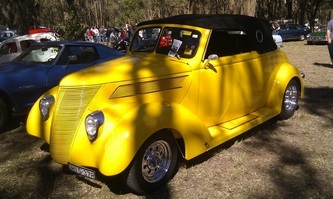 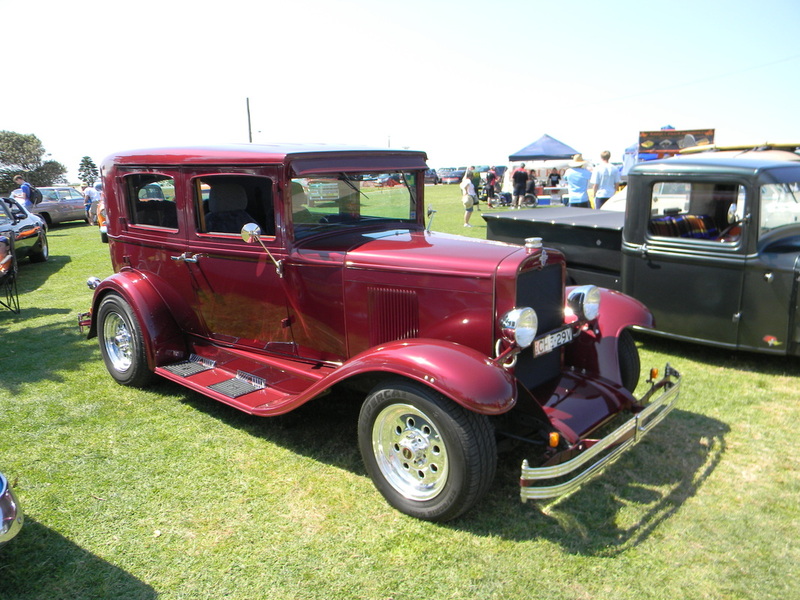 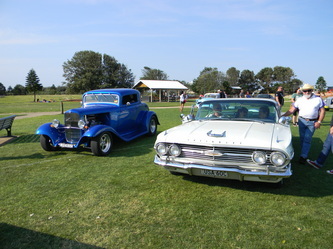 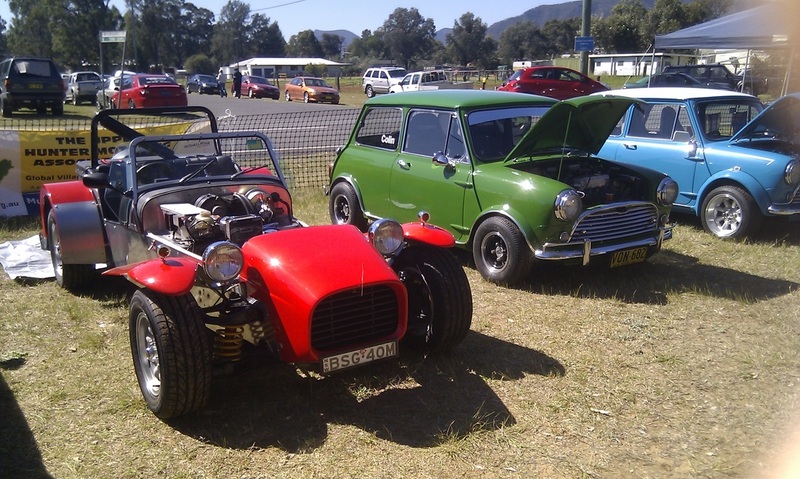 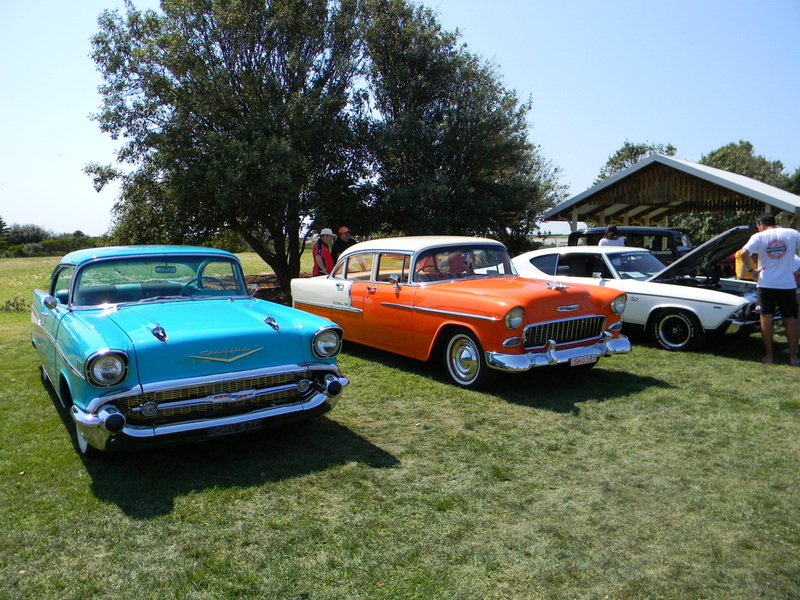 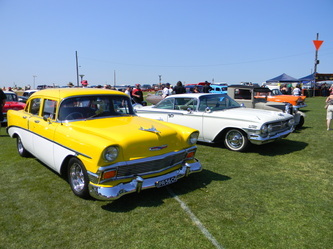 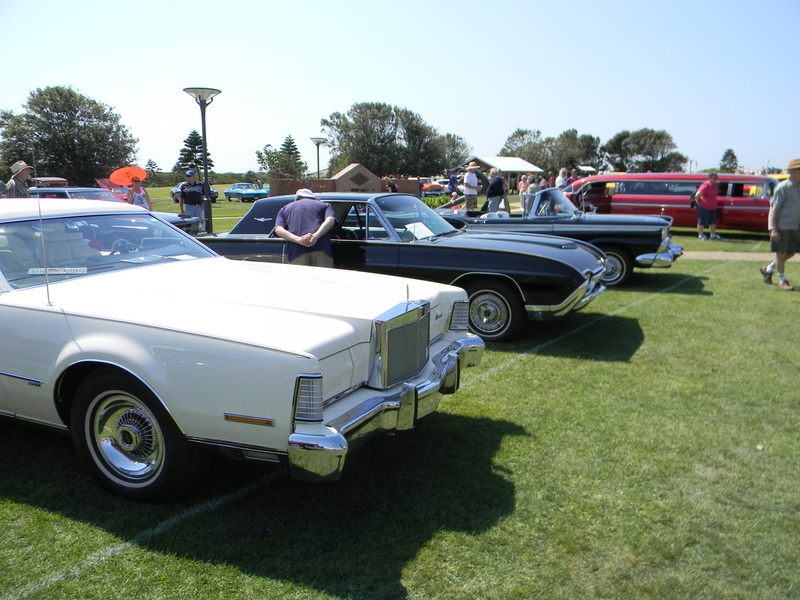 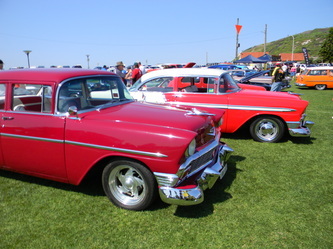 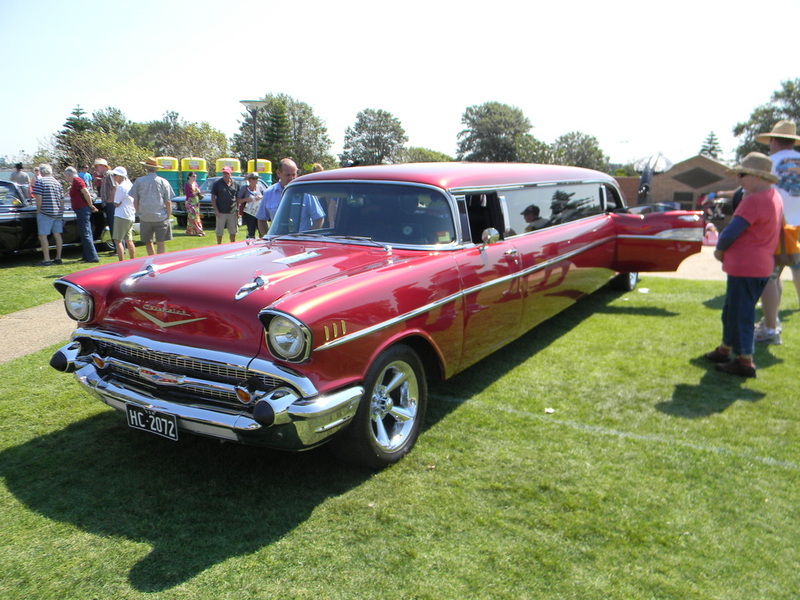 Here are just some of the Rods and Customs on show but there were many other types of vehicles on display. 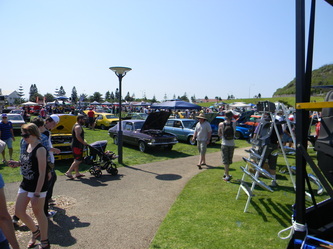 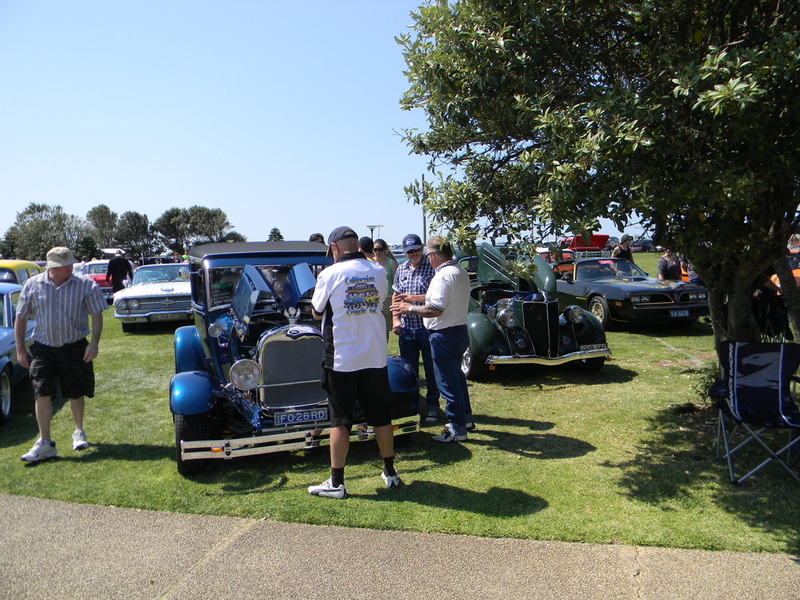 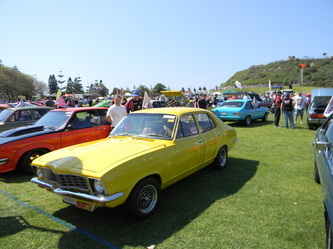 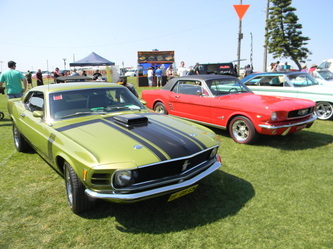 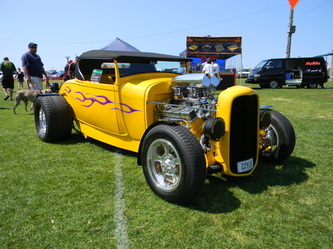 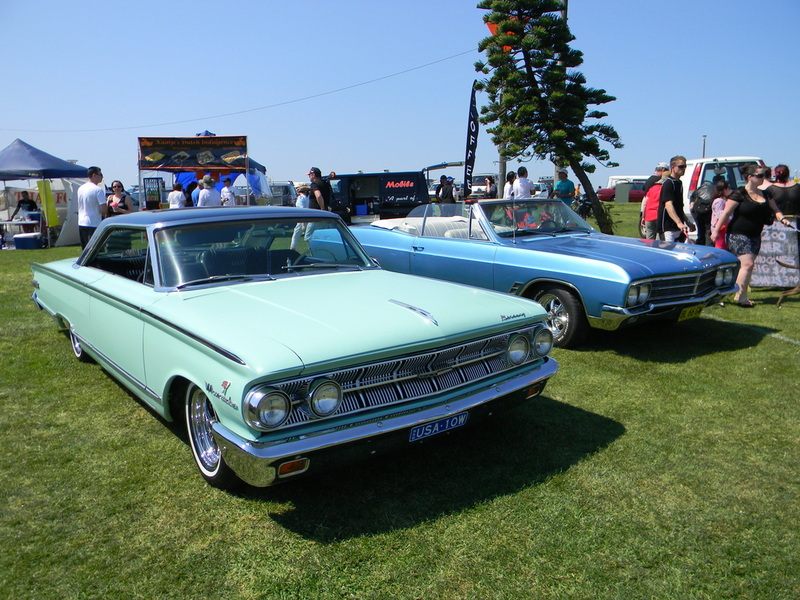 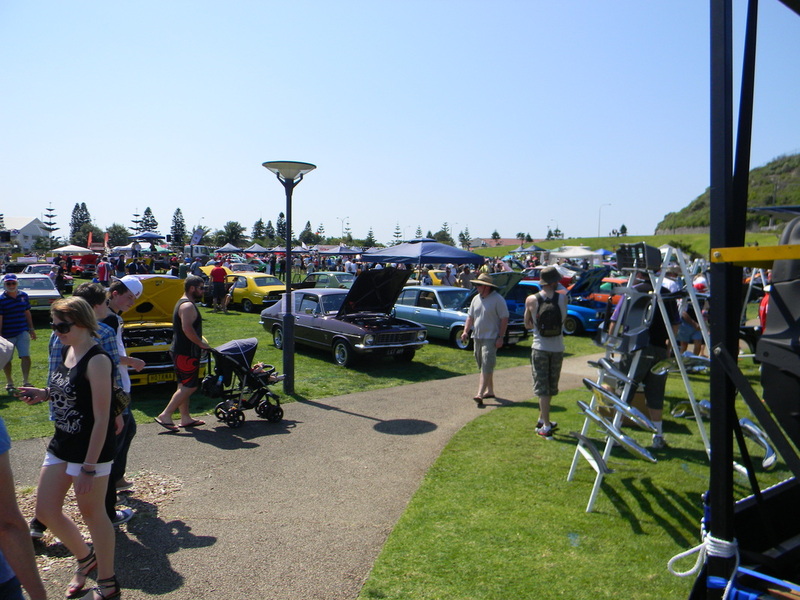 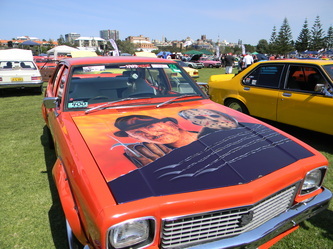 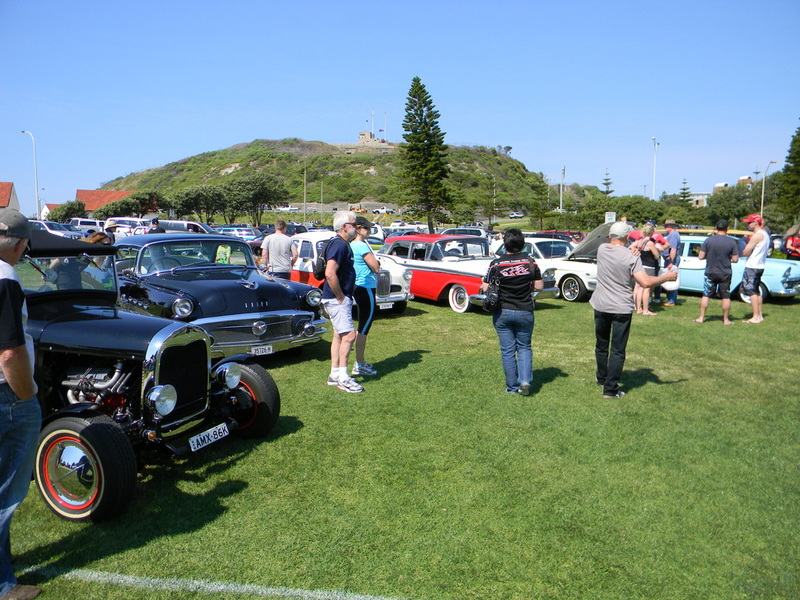 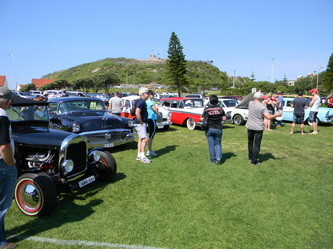 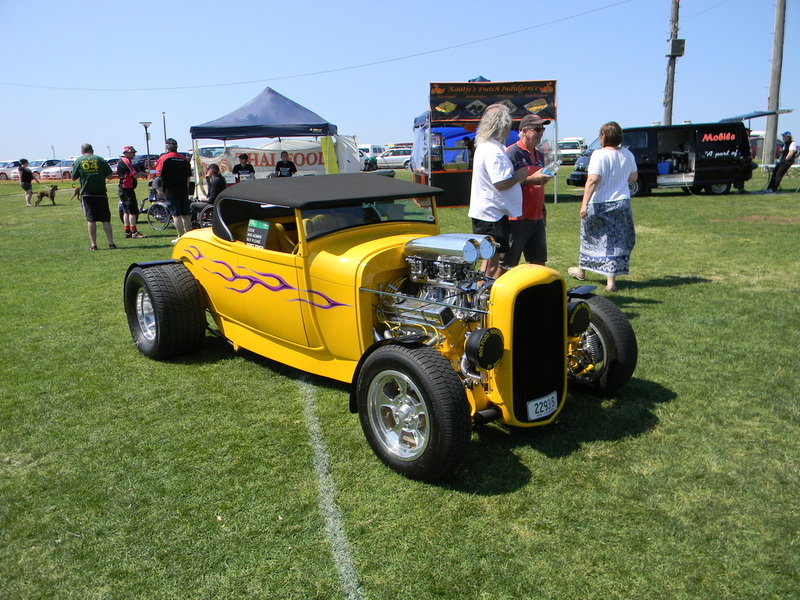 A warm and sunny Sunday in September saw a great crowd turn out for this years Rockers and Revheads event at Newcastle's foreshore. 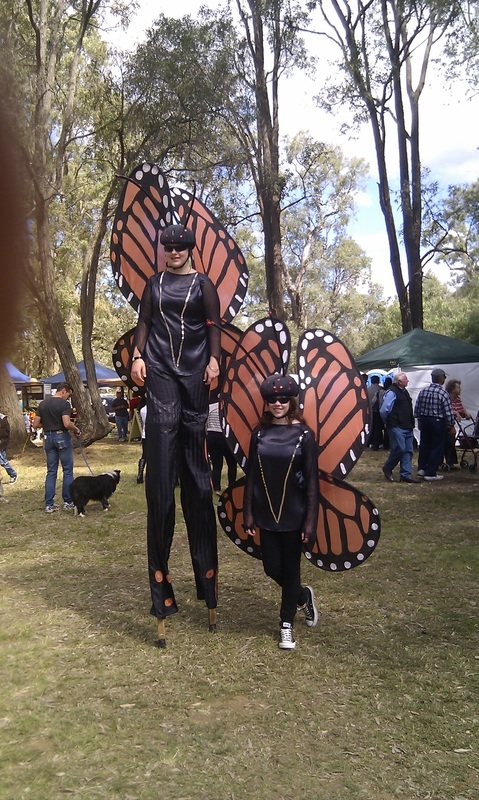 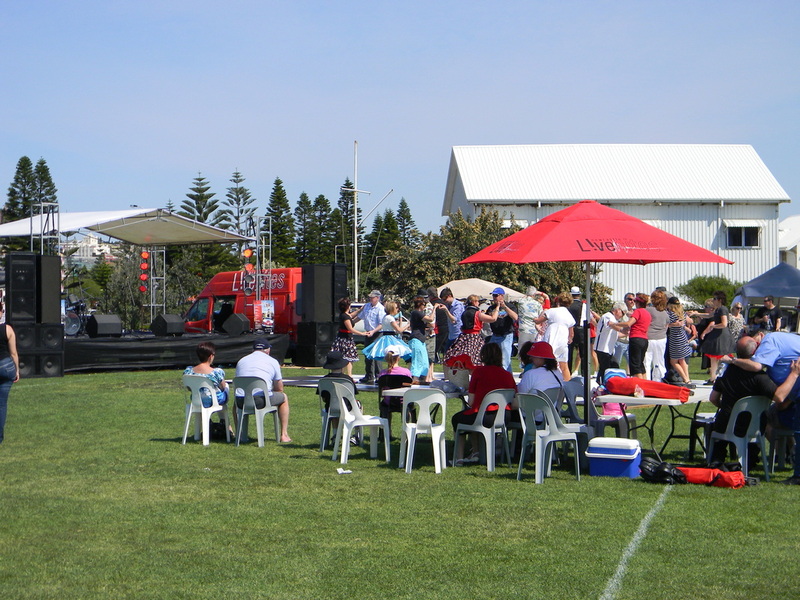 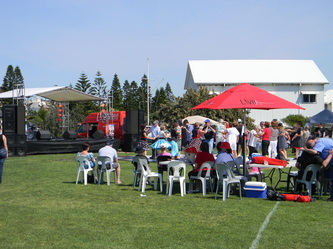 Also on at the foreshore was Torana Fest so there was a lot to see, great music to listen to and the day seemed to pass too quickly. 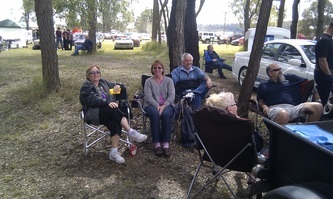 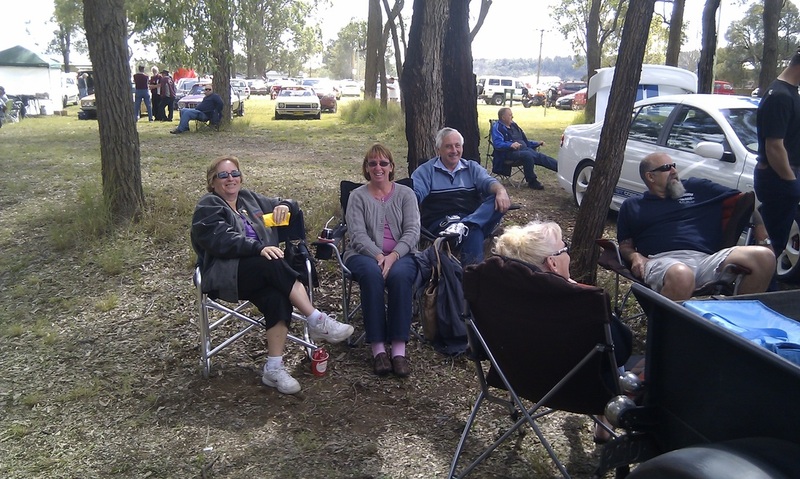 Five of our members were there on the day and all had a relaxed and pleasant day. Mick was in Victoria late September and came accross this show as the rods were about to leave. 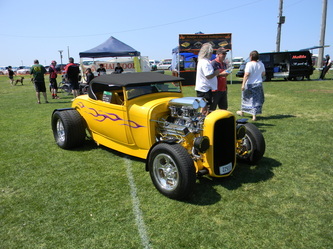 He managed to get a few pictures so enjoy the slide show.